On Sunday, 16 December, at St. Mark & St. Hubert’s Church at Cusworth, Doncaster, His Grace Bishop David ordained Reader Vladimir Sandis Roze to the Order of Subdeacon; and at the Church of Christ the Saviour, Winton, Bournemouth, Metropolitan Seraphim ordained Father James Maskery to the Order of Hegoumenos. Jim Kinsella then sang The Russian Kontakion of the Departed and the paschal theme of the funeral was emphasised by the congregation singing the hymn, ‘The Day of Resurrection’ composed by St. John of Damascus. 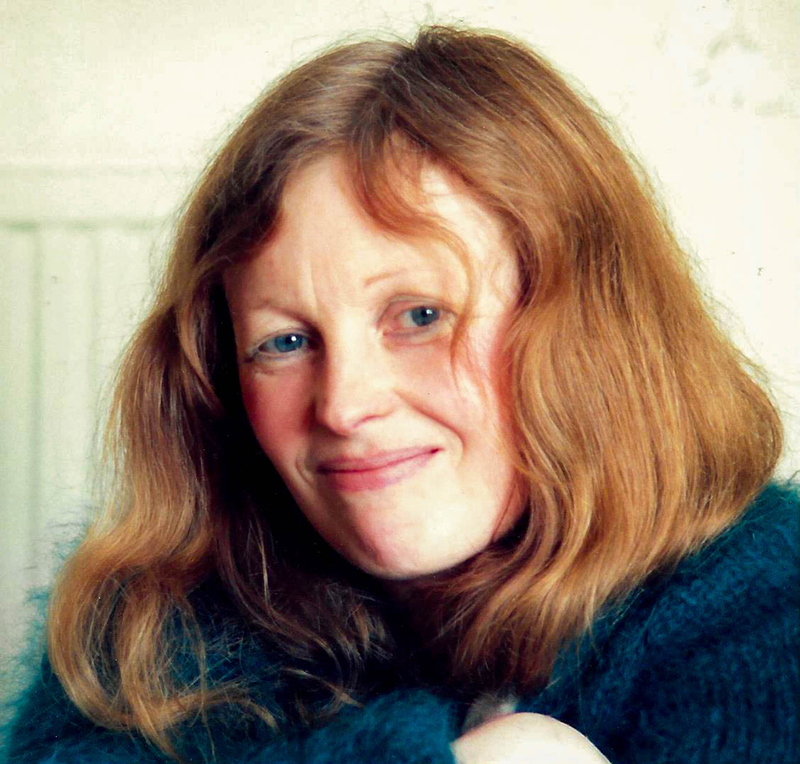 Following the prayers, Absolution and Psali Adam, the coffin was borne out of the church to the singing of the hymn, ‘Thine be the glory’, sung to the tune from Judas Maccabeus by G.F.Handel, another of Vanessa’s favourite composers. The coffin was then accompanied to Eltham Crematorium by Deacon Antony, who presided over the Committal. Following the repose of Archdeacon Mark Saunders on 27 November, a Requiem Liturgy was celebrated at the Church of St. Mary & St. Felix at Babingley, Norfolk by Metropolitan Seraphim on Sunday, 2 December and his funeral took place at noon on 10 December. The service was conducted by Metropolitan Seraphim, assisted by Abba David, Bishop of Priddy, and Father James and the church was filled with family, friends, neighbours and regular worshippers. 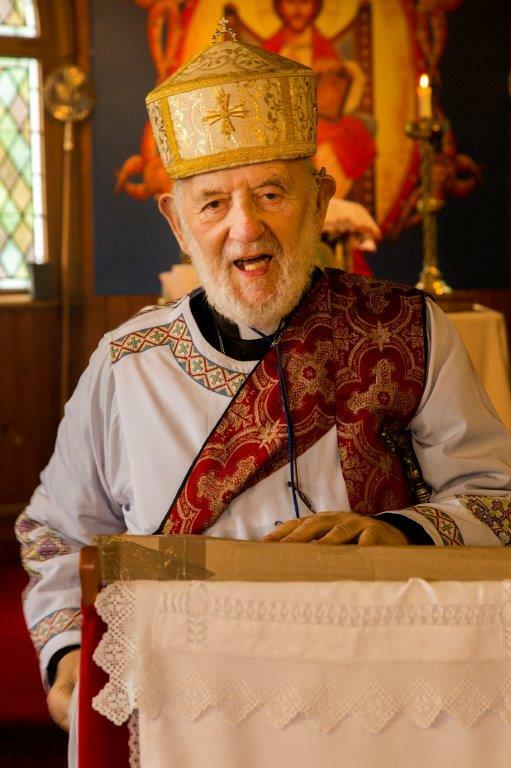 We are sad to announce that Miss Vanessa Tinker, A.R.C.A., the ikonographer of the British Orthodox Church, has recently died at the age of 76 years. Upon returning to London from Bournemouth last Sunday evening, Abba Seraphim received a message from a friend of Vanessa Tinker, expressing concern that she was not answering her telephone or personal calls to her house. She had been unwell and confined to bed for three days the previous week, so there was concern about her health. Accompanied by Father James, Abba Seraphim visited her home and, not receiving any answer, although the house lights were on, summoned the police, who made an enforced entry only to discover that she had died alone in her home. Abba Seraphim was called upon to identify her body, after which he and Fr. James called on her 98 year old mother, who lives nearby, to break the sad news and express their condolence. Vanessa Tinker’s funeral service will be held at 11.45 am on Monday, 17 December at St. Thomas’s Church, corner of Maryon Road & Woodland Terrace, Charlton, SE7 8EN. Vanessa Tinker: Memory Eternal ! 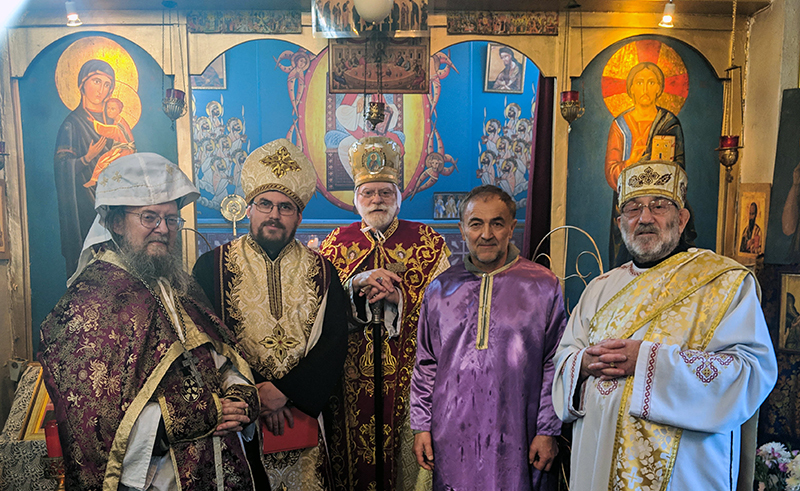 On Sunday, 18 November Abba Seraphim blessed Yuriy Kot as an Epsaltos to assist Hieromonk John in the services of the British Orthodox Church of Christ the Saviour at Bournemouth. Also present at the Liturgy was Deacon Antony Holland of Portsmouth, recently returned to ministry, who is also now attached to the Bournemouth Church. Although regular services are now held at the Bournemouth Church, Abba Seraphim and Father James continue to attend on the third Sunday in each month, when a pontifical liturgy is celebrated.